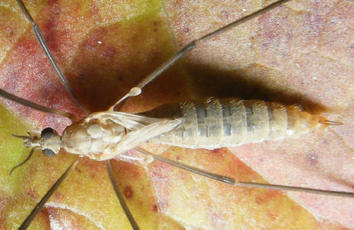 Length 10 to 12 mm. The male has clear unmarked wings (some may have a pale lunule marking). The female has very short reduced wings which are not capable of flight. The thorax is grey and the abdomen grey-brown. 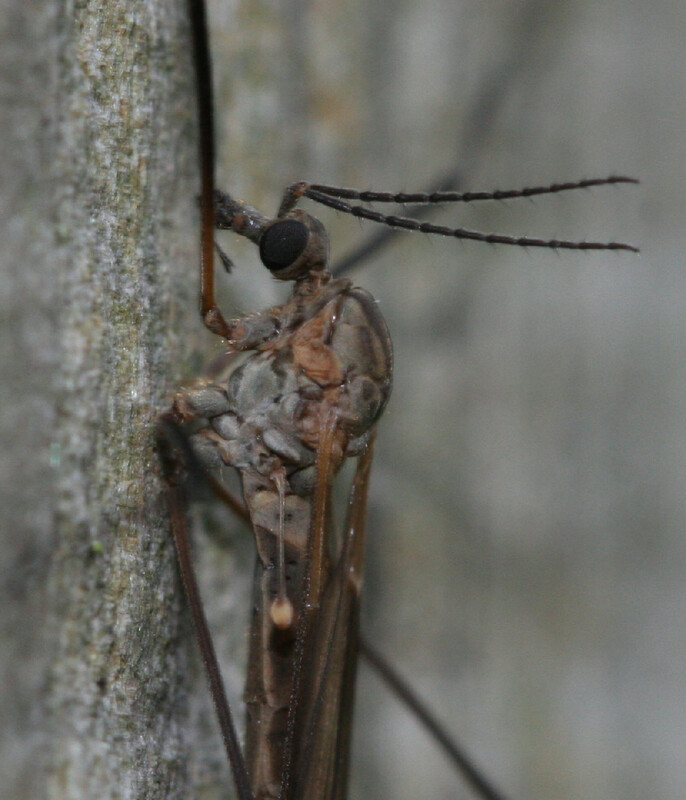 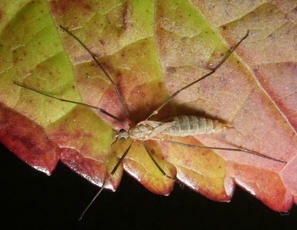 The first antennal segment is grey, the second is orange-brown and the remainder are black. 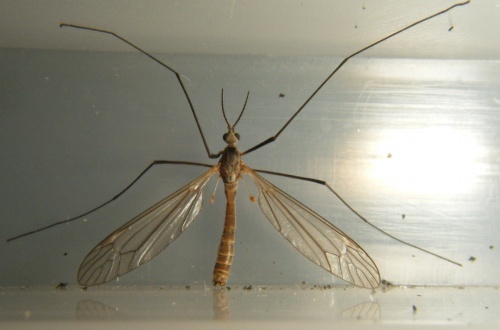 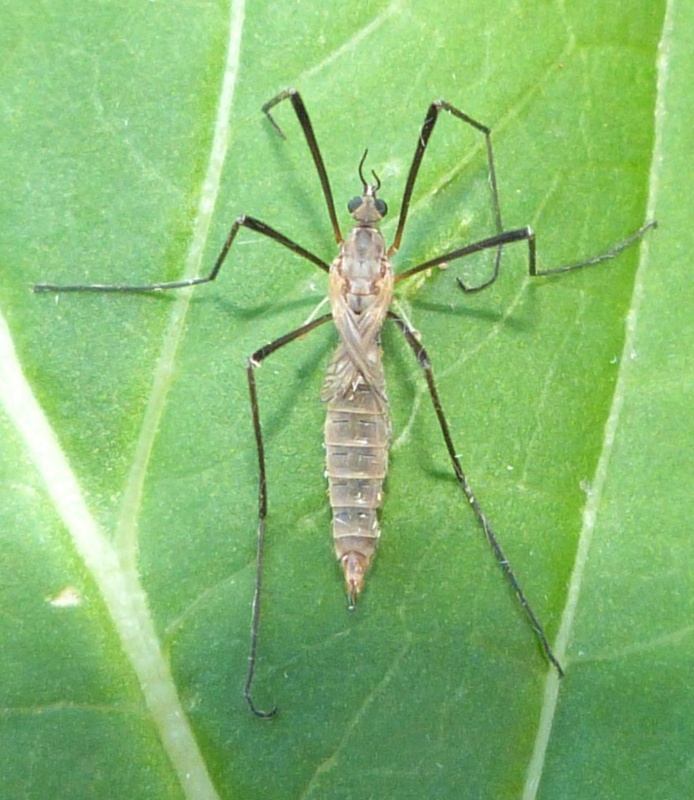 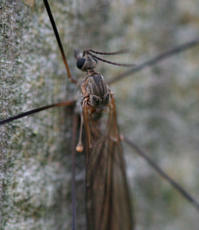 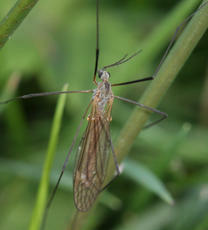 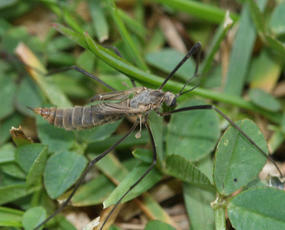 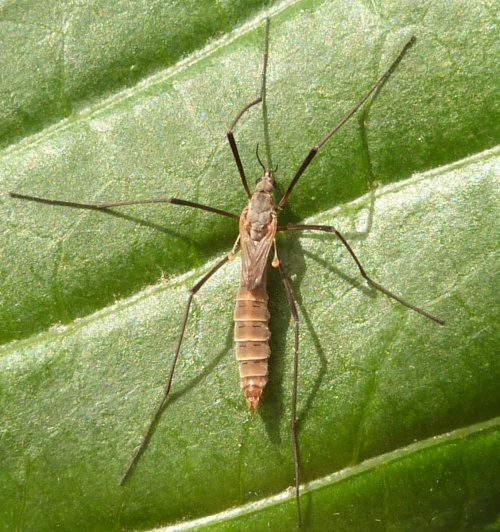 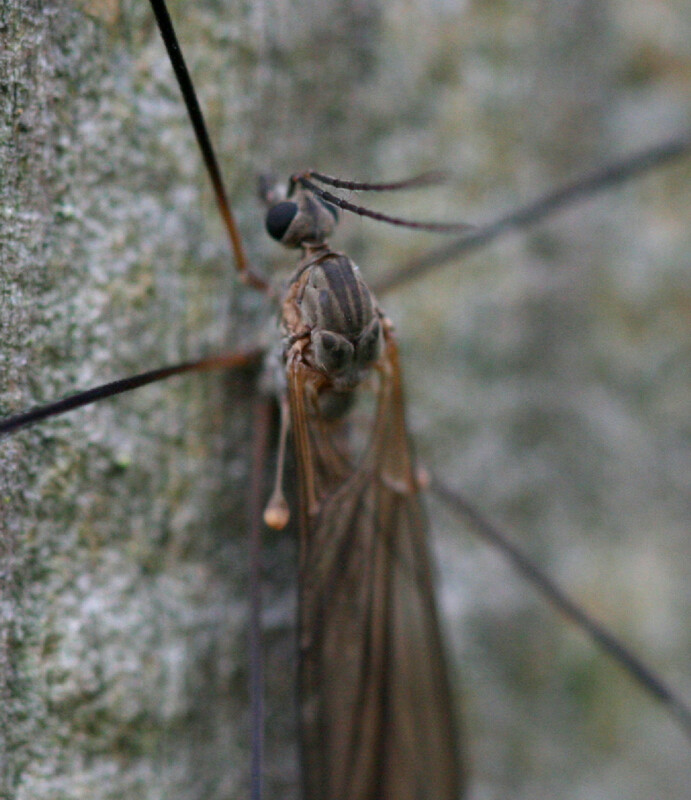 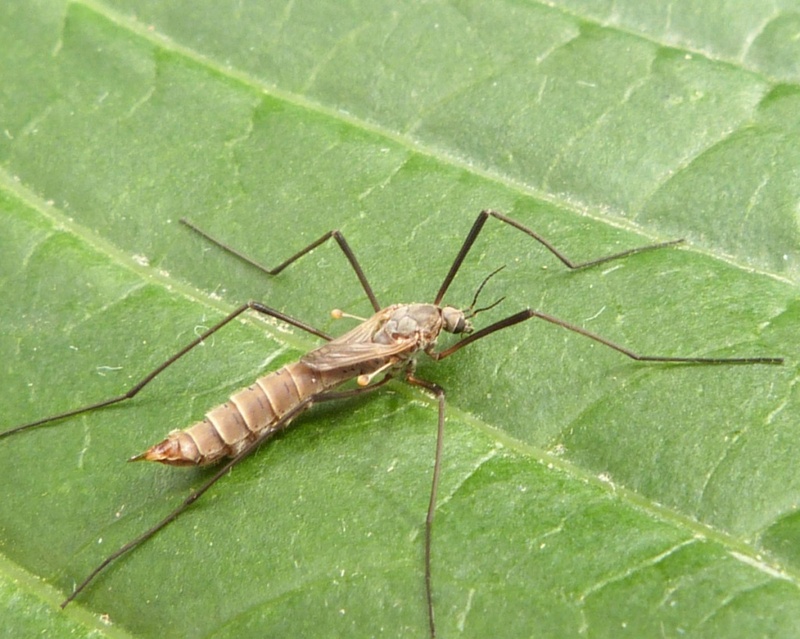 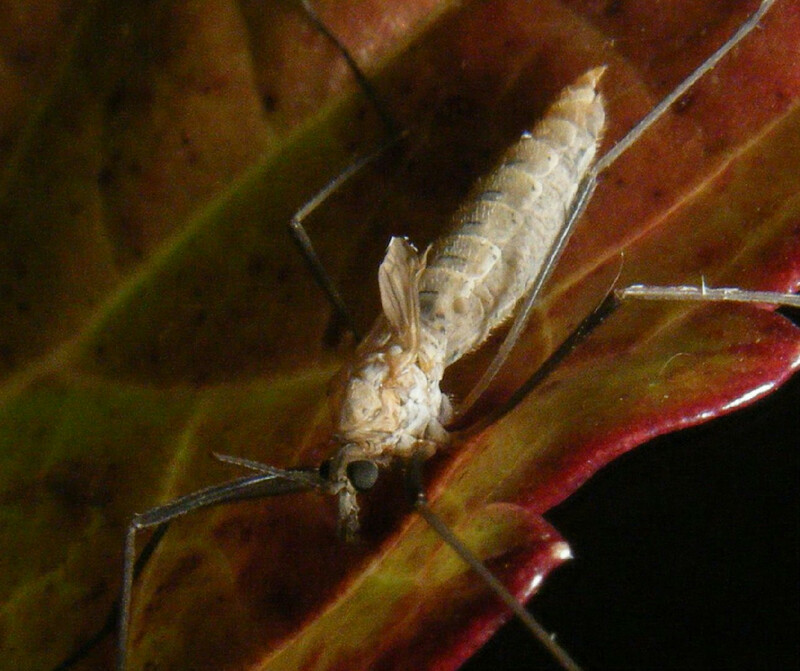 Tipula holoptera - genital differences distinguish males but females are fully winged. 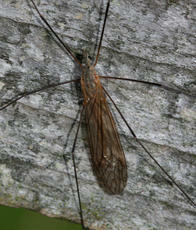 A late species usually seen from September to November, but occasional records from earlier in the summer. The eggs are laid into soft ground and the larvae are the well known terrestrial 'leather jackets' - brown legless grubs which spend their time below ground eating the root systems of grasses and root crops.